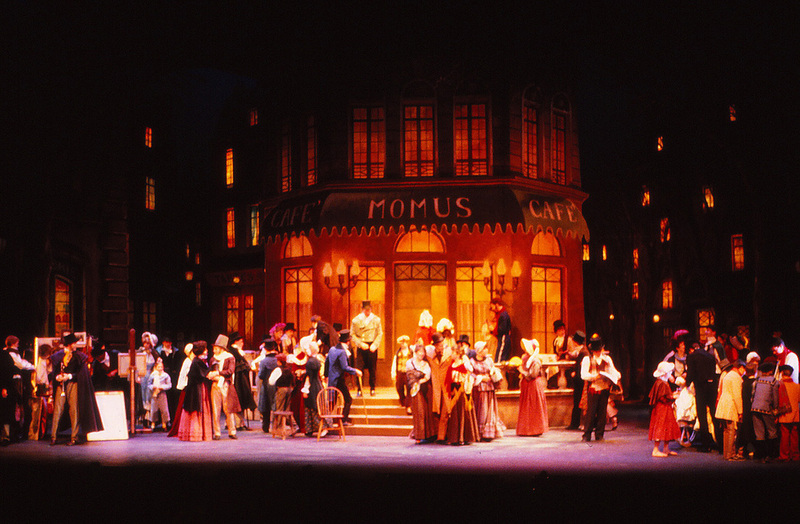 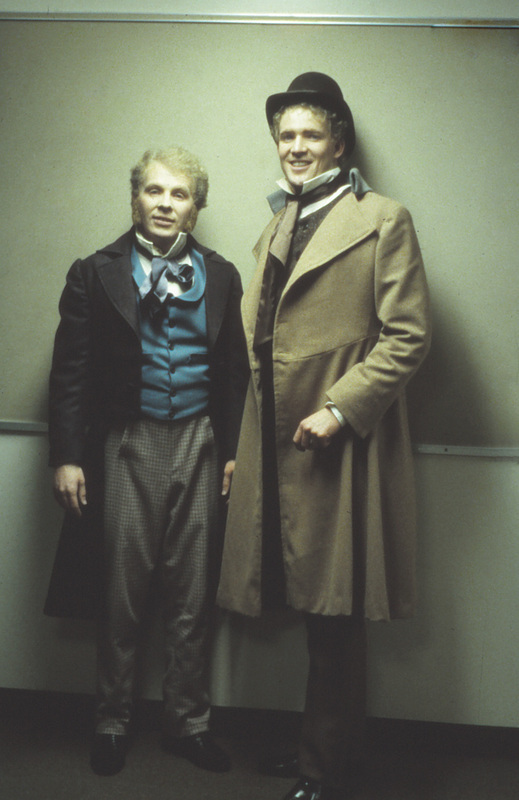 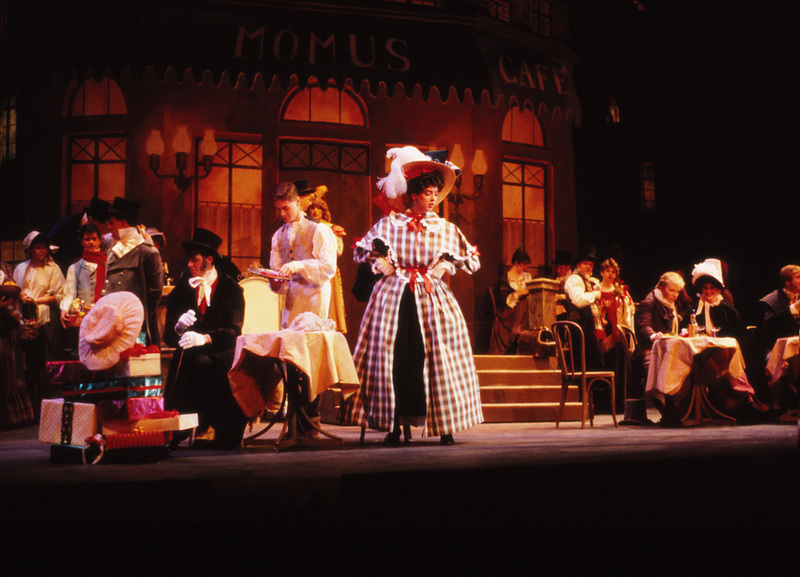 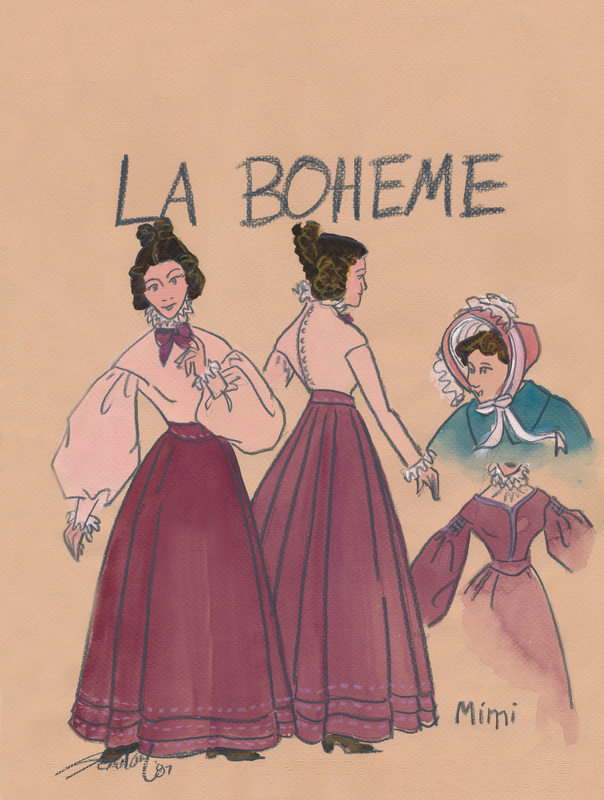 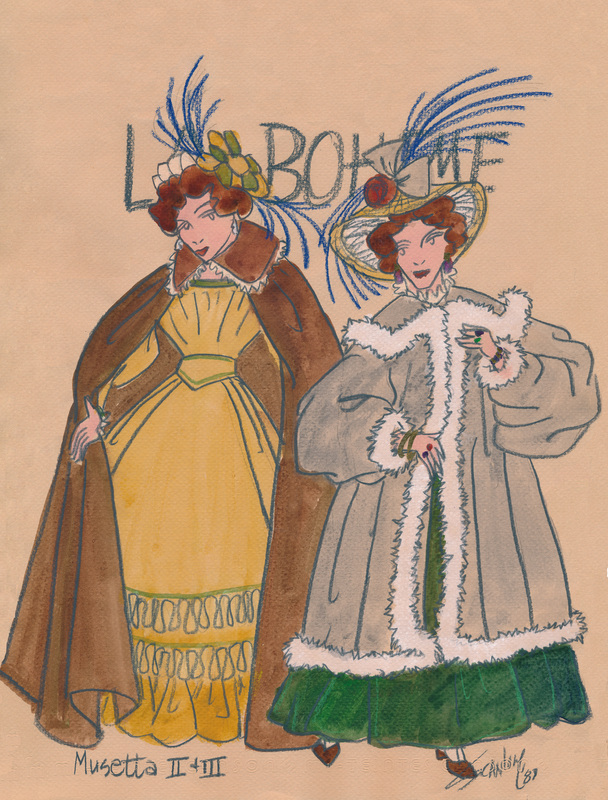 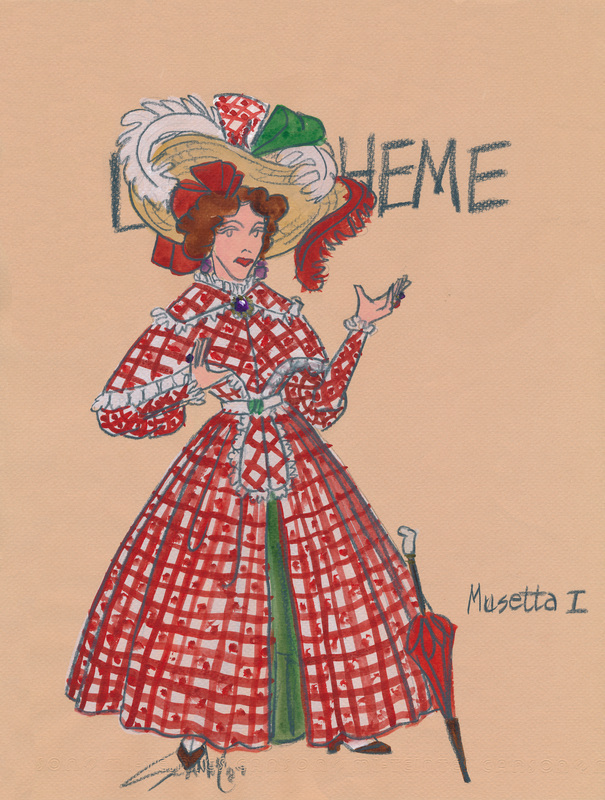 LA BOHEME was produced in 1987 by the Opera Program in the School of Music at Brigham Young University. 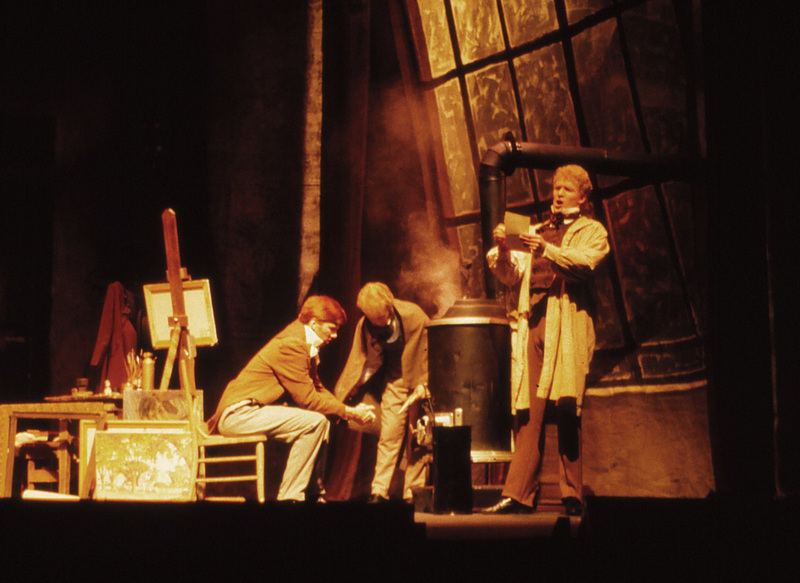 I was the Costume and Makeup Designer for the production, following a production concept of "seeing the world through rose-colored glasses." 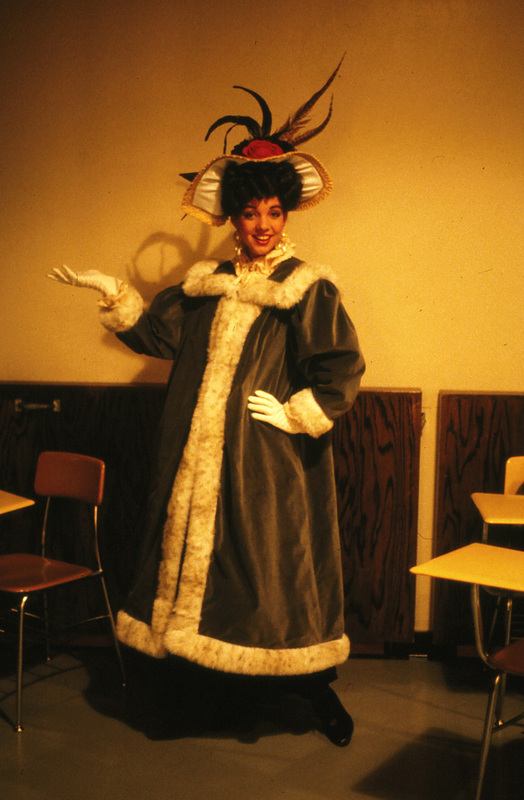 With this approach I selected Disney colors, with washes of pigment to brighten the stage and play with the harsh lighting. 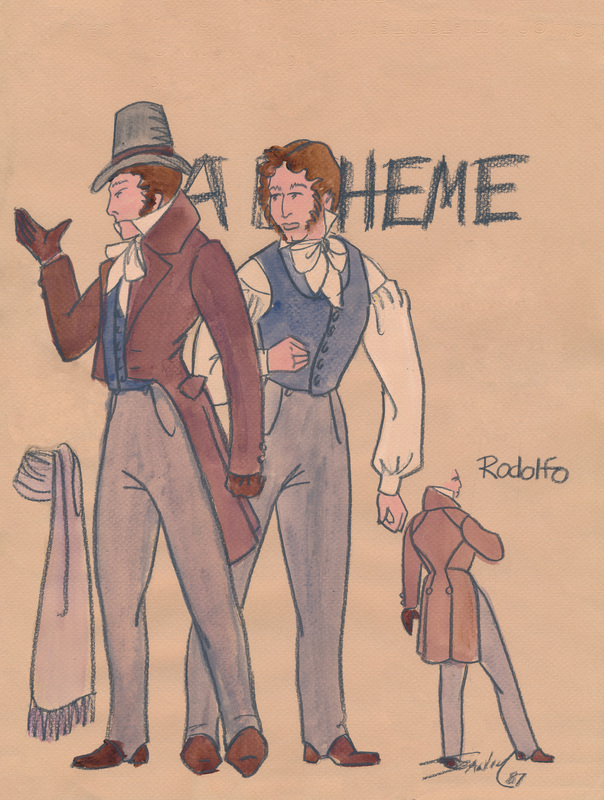 The production was directed by Clayne Robison.